Now that’s not the end of what I hope to accomplish on this page. After getting the definitions out of the way, I’m hoping to synthesize those three definitions into something useful–a strategy that you can use to get the most enjoyment out of your gambling hobby. A casino is a building where gambling goes on. That’s a broad definition, but it’s an accurate one. It’s also a little bit out-of-date, because now that there is an Internet, a website could also be considered a casino, or even just a software program on a computer or an iPhone. In those cases, the website or software replace the building. If you think about it for a minute, a lot of places that you didn’t think of as casinos are actually casinos. 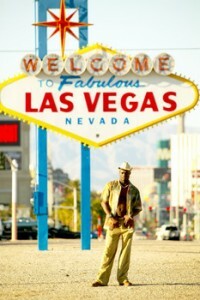 For example, you can’t turn a corner in the airport in Las Vegas without bumping into a slot machine. That means that the airport there is also a casino. In a lot of states, video poker machines are commonly found in bars. That makes those bars casinos also. A bingo hall is also a casino. Playing bingo is gambling, albeit a very socially acceptable form of gambling. Some churches offer bingo, and when they do, they’re not just a church–they’re also a casino. Some places only offer poker. They’re called cardroom or poker rooms. Even if they don’t offer what you might consider “traditional” casino games like roulette, blackjack, or slot machines, poker cardrooms are still considered casinos. Even a horsetrack or a dogtrack can be considered a casino. Why go into this much detail about how many different places fall under the definition of casino? Because it clarifies why the content on this site covers so many diverse subjects. Players can find many games to gamble on at an online casino, but some games are better than others. Some casino gambling games are easier to win than others, because the house edge is lower. Games like blackjack and video poker are games of skill where strategy counts, while other games are pure games of chance. Picking the right casino game helps a player stretch their bankroll, increasing one’s excitement and enjoyment while betting. Below is the house edge of the most popular casino games. The lowest house edge equals the right bet to choose. Many rules affect blackjack odds, so I use Vegas Strip Blackjack where blackjack pays 3:2, doubling is allowed, the dealer stands on soft 17, and splitting to four hands is allowed. Using time-tested betting strategies is the best way to win at casino games. For instance, basic strategy in blackjack provides the player with the optimal play in each scenario. In other games, no strategy exists besides finding the best bets in the game and using a winning betting system to manage your bankroll. Avoid the trendy betting systems like the Martingale, but instead use bankroll management to assure you limit losses when the game doesn’t go your way and lock in winnings when you’re on a winning streak. Gambling is when you wager money on games of chance or skill. It’s not the chance element that makes the activity gambling; it’s the betting of the money on the outcome of something. For example, if you bet $20 on a game of billiards, you’re gambling, even though it’s a game of skill. Legal definitions about gambling on games of skill and gambling on games of chance can vary from jurisdiction to jurisdiction, but gambling is gambling. Do your research, because there are online casino tips for winning that you can follow to boost your chances of winning and lower your risk of ruin. Casinos have a house edge in most games, which you should consider the price of entertainment. The great thing about gambling is you have a chance to win back the price of admission and then some. The casino winning tips below should give you a start on your research. Use Rewards and Bonuses: Never turn down comps of any kind. Always accept bonus offers, player rewards, and other promotions. Nothing lowers the house edge more than free money, so never play without using sliding your slots card into the machine or without inputting a coupon code you have. Choose a Win Goal: “Win goal” is a money management term. It means you set an amount at which you end your gaming session. If you’re win goal is $500 and you win $500, you immediately quit playing. If you’ve won $499, then it’s alright to keep playing. Setting a win goal helps you lock in winnings. Set a Loss Limit: “Loss limit” is another bankroll management term and is the opposite of a win goal. It means you set a minimum amount at which you stop playing. Loss limits keep a gambler from going on tilt, while assuring responsible play. Your loss limit might mean you either end the session or take a few minutes break before using more of your bankroll. Avoid Progressive Betting: You’ll read a lot about progressive betting systems like the Martingale, D’Alembert, and Fibonacci methods. Avoid any progressive betting system, which requires bigger wagers after losing hands/spins/rolls. Such bets win small amounts in the short run, but risk losing your whole bankroll if you get unlucky. Folding in Poker Games: Mastering the art of folding is important in games like Texas Hold’em, Three-Card Poker, and Let It Ride. Poker players tend to be brave souls. It’s natural to make a call or raise the bet, but some of the best hands you’ll play are those in which you choose to fold. In online poker games, bluffing is marginal, so learning when you should call or not is key. A strategy is a course of action you decide on in advance. For example, a gambling strategy might be to learn how to play blackjack using perfect strategy by memorizing a basic strategy chart, and then testing yourself with an online basic strategy tutor. The second step in that strategy might be to learn how to count cards by reading a book on the subject, picking a methodology, and practicing at your kitchen table until you can count down an entire deck in 60 seconds or less. The next step in that strategy might be to set aside a bankroll large enough to withstand the effects of standard deviation and avoid going broke. Your final step would be to embark on your new career (or avocation) as a card counter. But that’s not the only valid gambling strategy. Your strategy might be to set aside $50 out of every paycheck to play the slots with. You make a single trip to a casino once a month with a bankroll of approximately $200. If you lose the $200, you quit for the session, and you return the following month to try it again. If you win $200 or more, you quit winners for the session, have some fun with your winnings, and return the next month with your new $200 bankroll that you’ve accumulated. The first strategy (the blackjack strategy) is a positive expectation strategy, assuming you can develop the skills involved, and also assuming that you have the self-discipline to follow it. A positive expectation strategy is one which can expect to win money over a long enough period of time. In the short term, anything can happen, but in the long run, gamblers with a positive expectation strategy expect to win more than they lose. The second strategy (the slot machine strategy) is a negative expectation strategy. Slot machines are a negative expectation game, and even reasonable money management tactics like the one outlined above won’t overcome the game’s built in mathematical disadvantage over the long run. That depends on your goals as a gambler. If your goal is to earn a living gambling, then you’d want to stick with some kind of strategy and game where you can get a positive expectation. Blackjack, poker, video poker, and sports betting are all gambling games where you can get a positive expectation IF you acquire the necessary skillset. On the other hand, if your goal is to entertain yourself and occasionally celebrate a big win, and you don’t mind spending the money for that entertainment, the slot machine strategy above would work fine for you. Almost all other gambling and casino games besides the ones I mentioned in the last paragraph are negative expectation games, so you cannot hope to get an edge when playing them. Games like roulette, slot machines, craps, and keno have a negative expectation, and anyone who plays them long enough will experience more losses than wins. Those are single tips for the most popular games, but readers might want more details. In the section below, we go over the best strategies for each popular game, including video slots and Texas Hold’em. Keep in mind that casino strategies which work in brick-and-mortar gaming establishments do not always apply to online and mobile casinos. Handy tips exist for each game, so each best strategy tip will help you walk out of the casino with a bigger bankroll than otherwise. As a general rule, slot machines have no strategy element. Winning or losing is purely a matter of chance. Skill-based slots are legal in Las Vegas and Atlantic City now — and should become mainstream in a few years. Also, some progressive jackpots go so high that playing becomes a positive expectation game, though winning on a progressive slot machine is still a matter of pure chance. Avoid the zigzag method and other proposed slots systems, because slot machines have no betting system proven to win. Basic blackjack strategy optimizes your decisions in order to get the best possible house edge, counting cards is how you gain an advantage over the casino. Card counters are not welcome at casinos, though it’s a legal way to beat the casino. A variety of card counting methods exist. Some are easy to learn and others are complicated. Keeping a count while you act nonchalant in order to fool the dealer and the pit boss is the hard part. Live dealer blackjack offers the best chance to count cards and not be noticed. Experts on casino strategy have different theories on which 3-Card Poker hands to play. Some think you should only hold a hand with a king-or-better. Others suggest a Q-10 is the minimum cut-off point. Both are wrong. Computer simulations show that the optimal strategy is to play any hand which is Q-6-4 or better. If you want something simpler to remember, then the best Three-Card Poker strategy is to play any hand which is Queen-Six or better. The biggest mistake players make in Let It Ride is “letting it ride” too often. Unsuited 9-10-J is not a playable hand in Let It Ride, for instance. When you hold 3 cards at the beginning of a hand, you should only let the bet ride when you hold: a paying hand (of course), any three to a Royal Flush, three suited cards besides 2-3-4 or A-2-C, or any three to a Straight Flush when (at least) one card is 10 or higher. Unless you hold one of these hands, you need to fold. 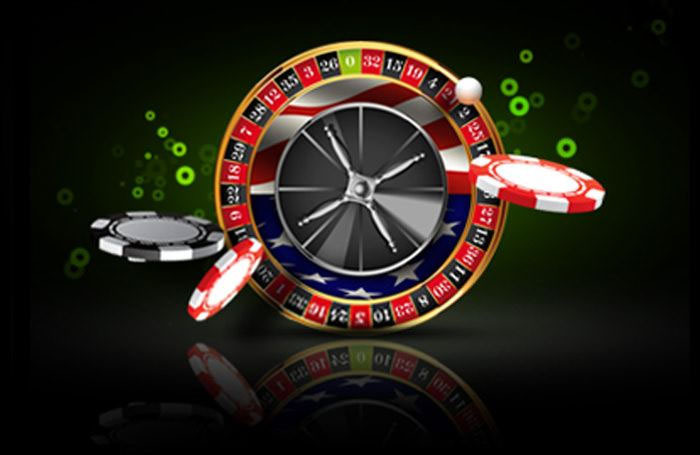 The best online roulette strategy is to find casinos which offer “la partage” or “en prison” rules alongside either European Roulette or French Roulette. This combination of rules lowers the house edge to 1.35%. High rollers should focus on French Roulette, the game which uses alternate bets which French names. The full/maximum or full/complete bet offers the best way to max out the betting limits for a high stakes gambler, because it is 12-bets-in-1 on the same roulette number. When learning craps, study the “odds” bets, which have a house edge of 0%. The best craps bets are the basic ones: Come, Don’t Come, Passline, and Don’t Pass. Dice shooters need to know one addition bet, which is an add-on to the basic bets after the point is established. Taking the odds is a way to make a much larger wager on the original bet, thus watering down the house edge in a way. Casinos limit the odds players can take, which is a good sign it’s a good thing for you. Whole books have been written on the best Texas Hold’em strategy, but most of that doesn’t apply to online poker. Bluffing and reading bluffs is next-to-impossible in a virtual Texas Holdem game online, but third-party software exists that lets a player quickly study their opponent’s hand history. This provides insight into that player’s tendencies, helping you determine whether the player is loose/tight and aggressive/passive. With that data at hand, you can make winning decisions in online Texas Hold’em. What’s the Difference Between a Gambling Strategy, Gambling Tactics, and Gambling Systems? I outlined a gambling strategy above, but just to reiterate, a strategy is an approach to an activity. A tactic is similar to a strategy, but it applies to individual decisions and individual situations. Deciding to become a card counter who uses the Hi-Lo counting method is a gambling strategy decision. Deciding whether or not to double down on an ace during a blackjack game is a tactical decision. Many games of chance offer no opportunities to make tactical decisions. For example, in baccarat, you have no real effect on the outcome of each hand, no matter what decision you make. In roulette, you can decide what option to bet on, but all of the bets at the table have the same house edge, so the only tactical decision you’re making is whether you want to lose your money quickly or slowly. In some games, like craps, different bets offer different odds. You can make a tactical decision to only place the bets which offer you the best odds. A gambling system is a totally different animal though. A gambling system is almost always a scam sold by a con man. Gambling systems usually involve trying to manipulate the odds of a casino game by changing the sizes of your bets based on previous results. I’ll have a lot more to write about that particular subject in a future article, but for now, please trust me. Gambling systems don’t work. PLEASE don’t waste your money on them. All casinos games have their own rules and strategies. The best way to win is to learn the casino betting systems for each game. This is true for every new casino game you play. The examples below illustrate the wide variety of casino winning tips which exist. Blackjack Basic Strategy: Consult a basic strategy chart when play blackjack. Free printable blackjack strategy charts exist online. Remember to use a basic strategy card specific to the rules you’re using. Sucker Bets in Craps: Notice in the table above the wide disparity in craps bets. The basic Come Bet, Don’t Come Bet, Pass Line Bet, and Don’t Pass Bet have a comparable house edge to baccarat and some video poker machines. Many sucker bets exist in craps, including the worst of the bunch: the “Any 7” bet. Single-Zero Roulette: If given the option, always choose single-zero roulette, better known as European Roulette and French Roulette. It’s easy to spot this form of the game: you’ll see only one 0-pocket on the wheel. In American Roulette, you’ll see a 0-pocket and a 00-pocket. Banker Bet in Baccarat: The banker bet has better odds than the player bet in baccarat, even though you pay a 5% fee to the casino. Never make the tie bet in baccarat, which is a sucker bet if there ever was one. SNG Double Up Strategy: In online Texas Hold’em, play in Sit’n Go double-up tournament to build your bankroll. The point isn’t to finish in 1st place, but to survive the bubble. If you have the short stack, play loose and aggressive, because most card players want to avoid the bubble. Avoid the big stack, but pick on the medium stacks in this casino double-up strategy. The rest of this site is dedicated to explaining how various casino games and betting games work. We’ll eventually offer analyses of all the casino games (and other gambling games) we can think of, along with some suggestions about what strategic and tactical approaches you might want to take toward those games, depending on your goals. I don’t judge or look down on people for how they gamble. If you just want to plunk coins into a slot machine and hope for a win, that’s your business. More power to you. If you want to maximize how much money you can win playing poker or blackjack, that’s your business too, and I have enough experience in each subject to provide you with the tips and advice you need to get started in that endeavor.